The title refers to a pamphlet, distributed to African Americans in the 1950s and ‘60s, that gave them tips as to which Southern State restaurants, hotels and stores that would accept their business. The driver, Tony “Lip” Vallelonga, used this guide to drive the pianist Don Shirley back then, and also used his connection to Shirley to understand his own deep seated attitudes. 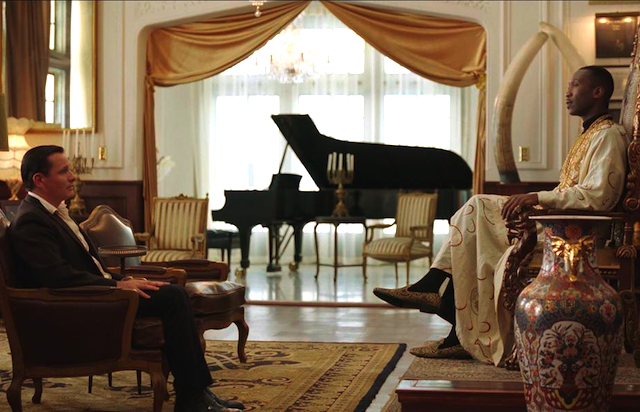 Viggo Mortensen portrays Tony, and Oscar winner Mahershala Ali (“Moonlight”) is Shirley, and the ardent performances of the two men is one of the many highlights of the film, which bridges the gap of misunderstanding with those small steps, and urges the audience to meet an “issue” on a relationship level. Tony Vallelonga was a bouncer and fixer at the Copacabana Club in early 1960s New York City. His family and wife (Linda Cardellini) lived in the Bronx, and when Tony is temporary laid off at the end of October in 1962, he applied as a driver for concert pianist Don Shirley, who is doing his first tour of the Deep South. Tony was hired, both for his driving and ability to fix difficult situations. And almost immediately they encounter these difficulties. Don Shirley is a proud and educated man, and finds it unrealistic that he is not allowed in public buildings or private businesses as they travel. Tony had to break up an attack, deal with indifferent Southerners and even find a way out of arrest. But through it all, a deepening respect between the two men changed their lives. Fundamentally, the story is about how two souls can connect at basic levels, and how a white man has to understand what his fellow tribe members are doing to persons of color. It’s a 1960s fable in a way, not grounded in any deep civil rights issues during that history, but laid out as empathy for two men going through it. In that sense, it becomes a passionate morality tale regarding the truism that all men are created equal. 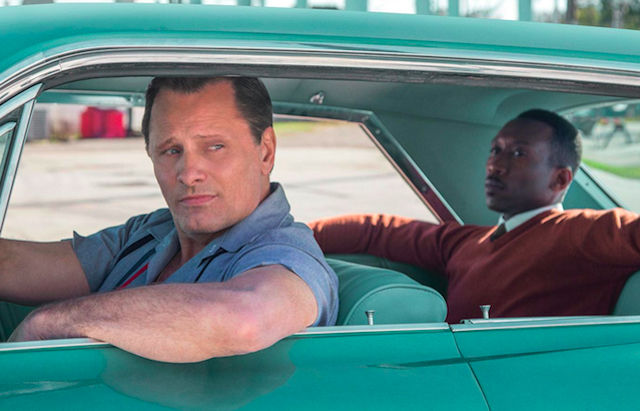 Viggo Mortensen rises above his Danish roots to portray a Bronx-born Italian with gusto…. he seemed like a old school character from “The Sopranos.” But beyond the “dems” and “dose,” the actor portrayed the sensitivity and street smarts that a fixer needs to survive. Contrast that to Mahershala Ali as Don Shirley, who had isolated his adult life as a black man in a shield of education and show business, and had forged a sanctuary in an apartment above Carnegie Hall. In a way, both men had to come together in the commonality of feeling like outsiders. The film is directed and co-written by Peter Farrelly, of the comedy creators the Farrelly brothers (“There is Something About Mary”), and his attention to 1960s details favors the story environment. It’s a road picture, and the distinct Cadillac Tony drives almost becomes a character, as it both traps them together and shielded Don Shirley in a certain economic status. The film works on many levels, but especially through understanding and friendship. The apartment above Carnegie Hall brings up the old joke. Q: How do you get to Carnegie Hall? A: Practice, practice. In Don Shirley’s case, in addition to his piano virtuoso and intuitive rehearsal work, he just had to pay his rent on time.